It consists of 40floors above ground, 2floors underground and is 173meters high. 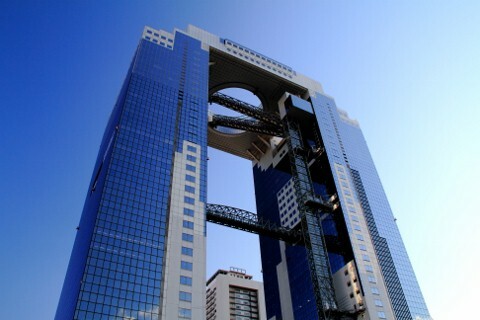 It’s a landmark of Osaka, and a tourist spot, because of its unique and special kind of conspicuous configuration. It was selected as one of the TOP 20 BUILDINGS AROUND THE WORLD by THE TIMES, a British magazine. It’s a first-class architecture in the same class as Angkor Wat in Canbodia, Taj Mahal in India, Parthenon in Greece and Sagrada Família in Spain. It’s a paid attraction, but you can see across the Osaka city and a spectacular view from the observation deck at upper most section, the “air garden”. The observation deck is placed on its roof. It is very rare to have such a deck on the roof of a super-high building, and it has wide open space where you can feel the whole sky, wind, and enjoy a 360-degree view. It’s a very popular spot for dating in addition to being a tourist spot. There are a Cafe, Fuwapica and Information center on the 40th floor with river and city view. The observation deck has wide open space where you can feel the whole sky, wind, and enjoy a 360-degree view. The entrance will be open till 30 minutes before the closing time. It will open longer on GW, summer holidays, and New Year’s Eve. 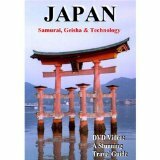 Where do you want to go in Kansai?